Planning a special event? Let LongIslandCateringHalls.com help you find the perfect venue for your upcoming Black Tie Corporate Event, Fun Filled Birthday Bash, Elegant Wedding, or other upcoming celebration. Since 2010, Long Island Catering Halls has helped local party planners, brides to be, and event organizers find the right venue to suit their needs, from simple gatherings to extravagant once-in-a-lifetime events. Here on Long Island, venue options are seemingly endless - whether you're looking for breathtaking waterfront views, picturesque garden scenery, rustic East End charm, the glamour of the Gold Coast, the posh influence of nearby Manhattan, or something simple, Long Island boasts event venues and catering halls or all types and sizes. 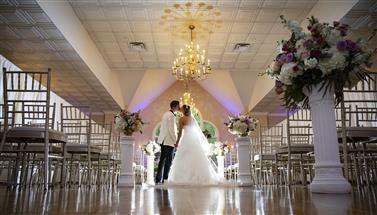 LongIslandCateringHalls.com can help you round down the choices, and select the perfect venue. We offer detailed profiles of Long Island's best venues which you can bookmark, save, and compare venues that meet your needs, so that you can pare down your options without any hassle or stress. If you're about to plan an unforgettable event here on Long Island, you're in the right place - LongIslandCateringHalls.com offers comprehensive information about local venues in Nassau & Suffolk, including pricing, amenities, services offered, photos, and even reviews by locals who have hosted or attended events at local Long Island venues. In addition to thorough information about all of Long Island's hottest venues, LongIslandCateringHalls.com features guides to local event vendors, from catering companies, to DJs & Bands, Ice Sculptors, Limousine Services, Entertainers, Officiants, and everything in between, we've got the scoop on local Event Service providers that can give your event that unique twist, and ensure that it goes off without a hitch! LongIslandCateringHalls.com strives to provide you with the most comprehensive information on catering facilities and event services on Long Island. Our database contains details on reception halls, hotels, mansions, country clubs, yacht clubs, gardens, restaurants and other private locations, making it simple for you to find just the right place for your event. Whether you're planning an intimate gathering or a grand affair, we make your search easy and save you time.